No one, not even the most experienced trader, is insured against a deposit drain, but to reduce the likelihood of such an outcome, it is important to strictly adhere to the chosen strategy, follow the rules of money management and seriously approach the choice of broker. These recommendations concern not only the Forex market, binary options trading, for all its visual simplicity, also requires compliance with the mandatory recommendations. Otherwise, the probability of loss increases significantly. 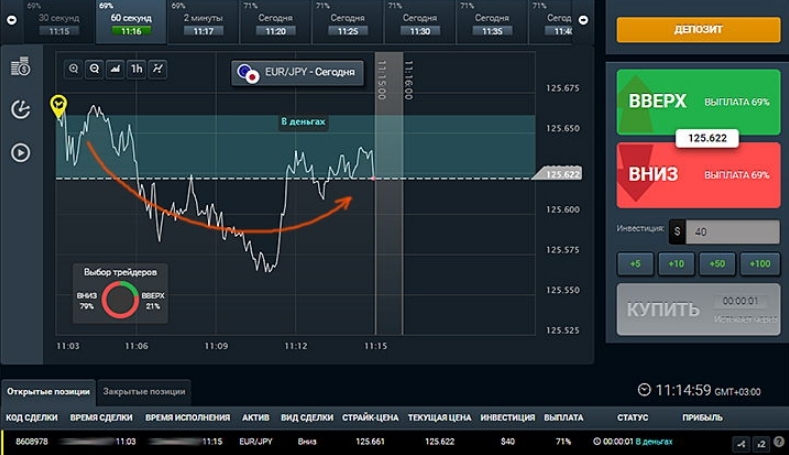 In this article we offer you a simple and affordable strategy for trading binary options “Zenith”. With exact observance of all the conditions listed in it, after 10 minutes you can get a good profit. 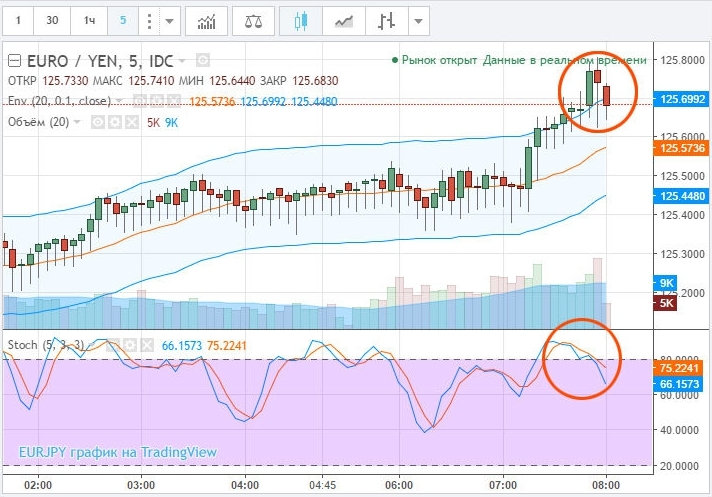 Zenit is an indicator trading tactic based on the use of two popular technical analysis tools, namely, the Stochastic indicator and the Envelope with a certain setting. Trading on this strategy can be binary contracts for any asset, mostly it can be any currency pairs. Trade is conducted on a three-minute chart. The term of the conclusion of transactions can vary from 9 to 12 minutes, that is, 3-4 candles. ♣ Envelope – Envelope indicator with a deviation of 0.1. In order to understand the principle of making a deal with this strategy, it is best to use the extended charts, access to which is provided to all clients of the Finmax broker. Some traders may ask: “Why is the trading platform not immediately used for these purposes?”. 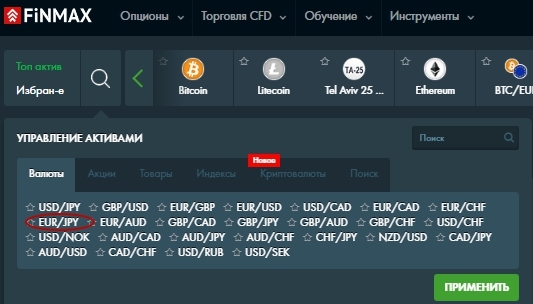 The answer is simple: In order not to overload the site with superfluous information, the broker has installed only the most popular indicators on it, and on the extended charts there is a large arsenal of other technical tools, including those necessary for the implementation of the Zenit strategy. As you can see, the Envelope indicator is plotted on the price chart, and the Stochastic is displayed in its lower part. Now it is necessary to change the standard settings of indicators to the ones specified in the strategy. Initially, we indicate the deviation of the envelope. Then adjust the stochastic settings. The schedule is ready to work, now you need to wait for the moment when the conditions for entering the market will appear. ♣ Stochastic curves rise above 80, enter overbought areas and intersect with each other. ♣ Stochastic curves fall below level 20, enter oversold areas and intersect with each other. To make sure that the Zenith strategy really works and you can use it to profit from trading in binary options, let us show an example of a deal on the Finmax broker’s trading platform. To begin, open the extended graphics. 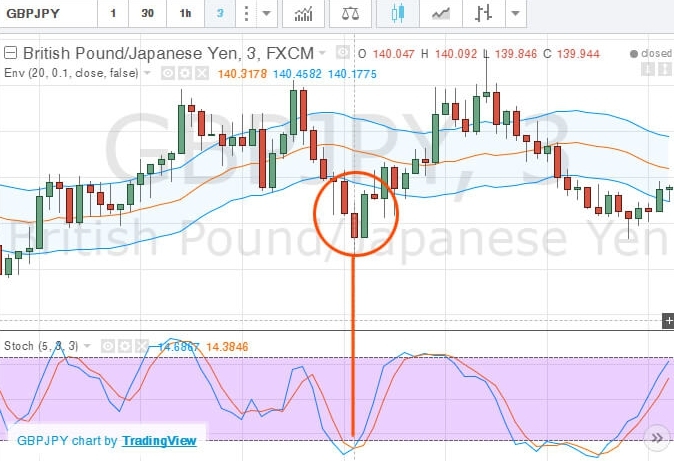 As a base asset, choose the EUR / JPY currency pair and set a three-minute timeframe. Next, we wait for the appearance on the chart of the necessary conditions for making a deal. The first is a signal that soon the price will go down, namely: the price chart has gone beyond the upper limits of the Envelope indicator, and the Stochastic curves have broken through the level 80 and have crossed themselves. 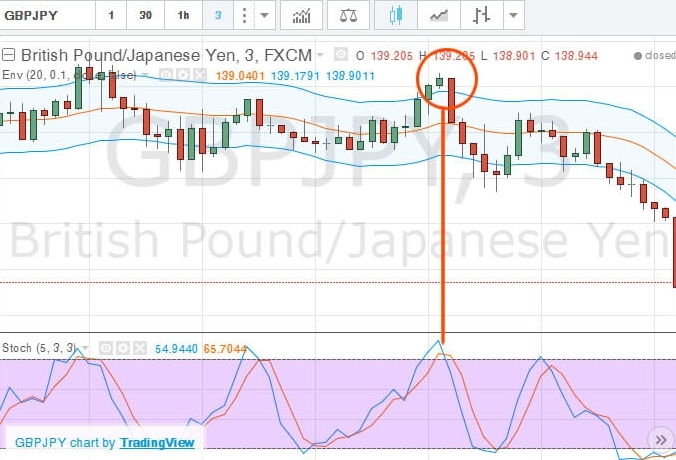 As soon as this signal appears, you should immediately switch to the trading platform and choose the EUR / JPY currency pair from the list of underlying assets. In accordance with the terms of the strategy, we set the expiration date of the option of 4 candles, that is 12 minutes, invest in 40 cu in the transaction. and press the “Down” button, assuming that at the time of execution of the contract the price of the asset will be below the current value. 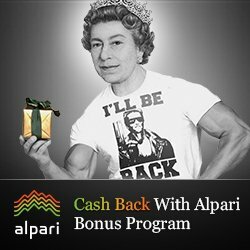 Click on “Buy” and wait for 12 minutes to pass. If the forecast is justified, the profit will be 71% of the original amount. After expiration, the price really fell, so the deal closed “in money,” that is, in favor of the trader. It should be noted that the signals on the strategy of “Zenith” appear not so often, but each of them is very accurate and guaranteed to be profitable. If you want to test the effectiveness of this strategy in practice, open an account with a Finmax broker, he has all the necessary tools to successfully trade binary options. ← What do modern traders do?